A way to make Comfrey or Nettle tea without the smell. Comfrey and Nettle compost teas are renowned for their high levels of nutrients and their ability to give any plant a boost. 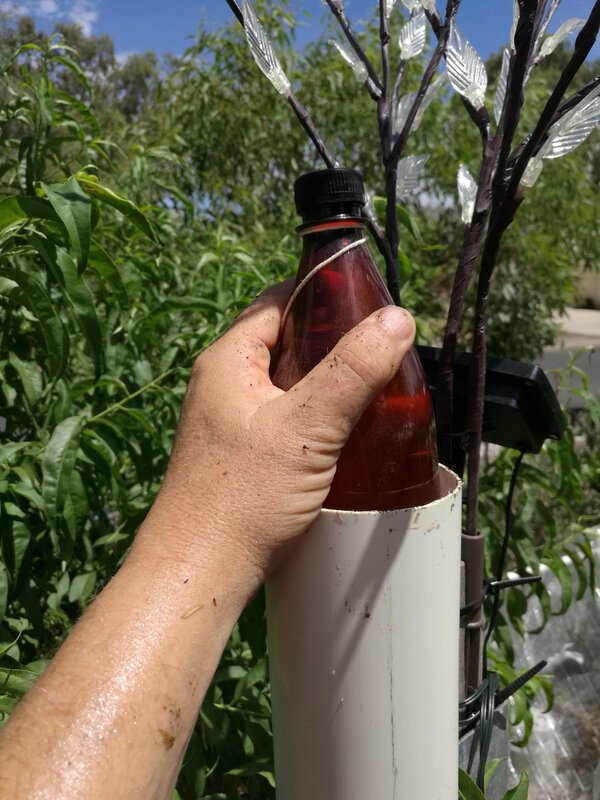 The traditional way of making compost teas from these plants usually involves placing a goodly portion of the leaves and stems into a bucket of water, covering, then leaving the mix for up to a couple of months. The downside of making these teas is the smell. They can really stink! Several times in the past, I’ve come across designs and ‘how-tos’ for a device for making these liquids with an absolute minimum of (and some claim no) smell. The design’s not my own, but I’ll step you through how I made one from spare parts I had in the shed. The basic parts for the ends. 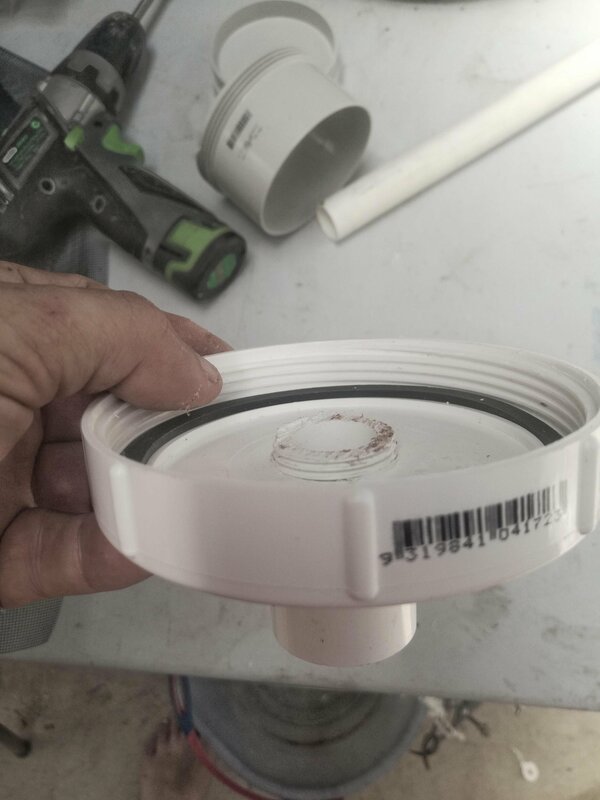 We need a cap to form the bottom and a way attaching an outlet. 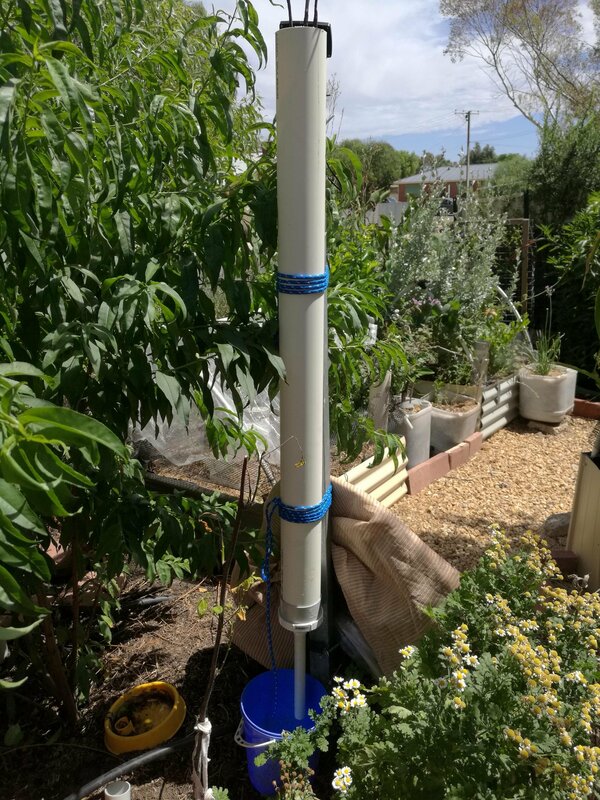 I’m using 90mm and 20mm PVC pipe and fittings because that’s what I had the most of. a nail or something similar about 2 cm long. 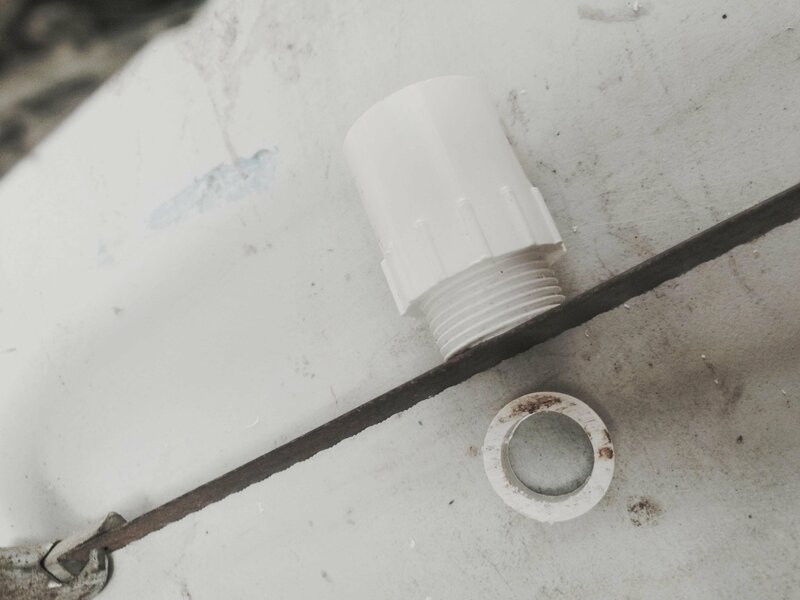 Start by drilling a hole in the threaded cap wide enough to slip the 20mm male end through. Trim the threaded end of the connector. Trim it so the thread just shows through the inside of the cap. 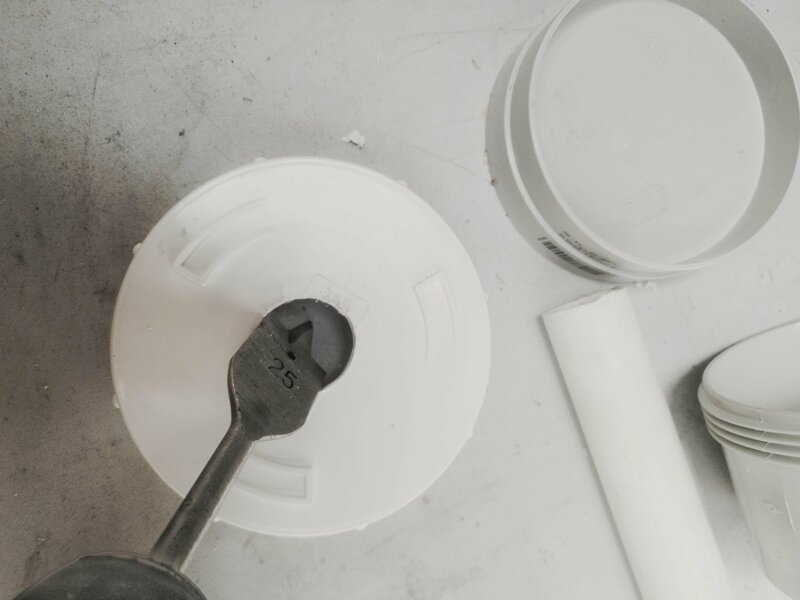 Silicon or otherwise seal where the thread pokes through the cap. Do inside and out to make sure. 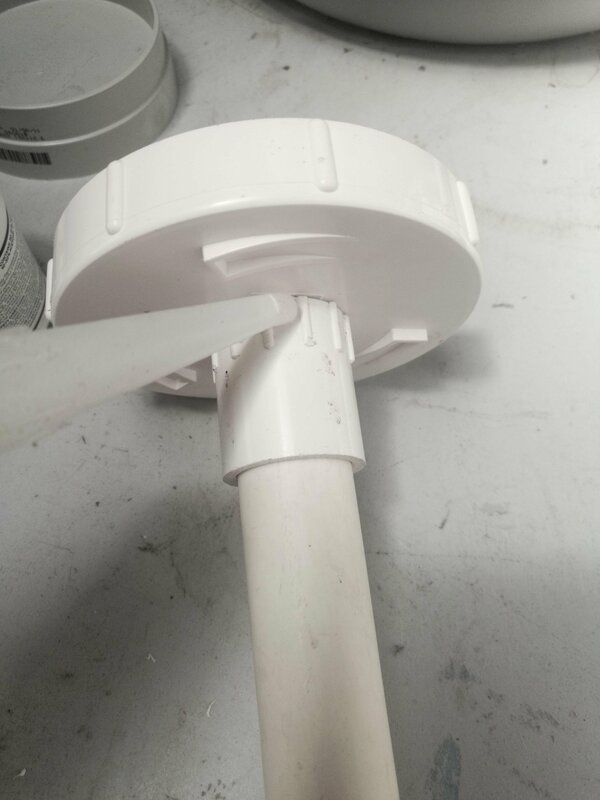 Slide the 90mm threaded end onto the 90mm pipe and glue. 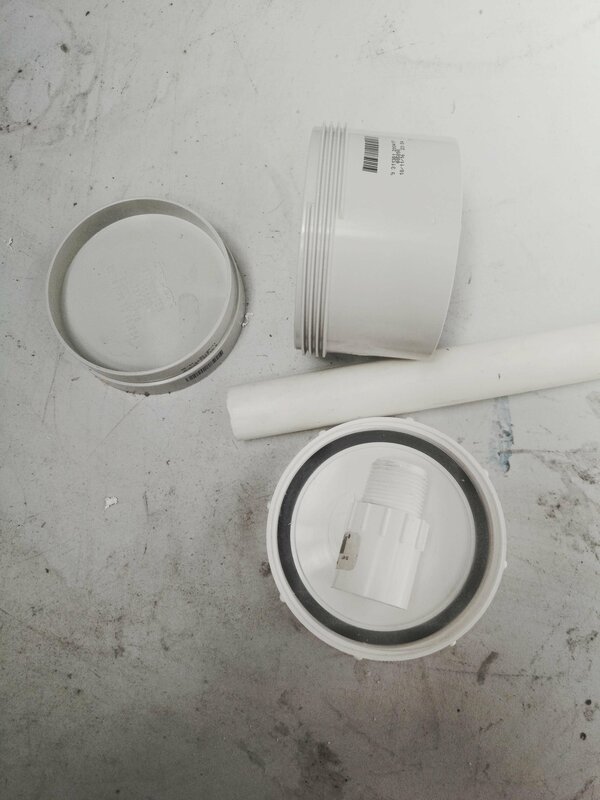 Then slip the 20mm pipe into the connector on the end cap. Thread the end cap onto the pipe end. Fill the bottle with water, sand or anything heavy. I had a few fishing weights laying around to add extra weight. 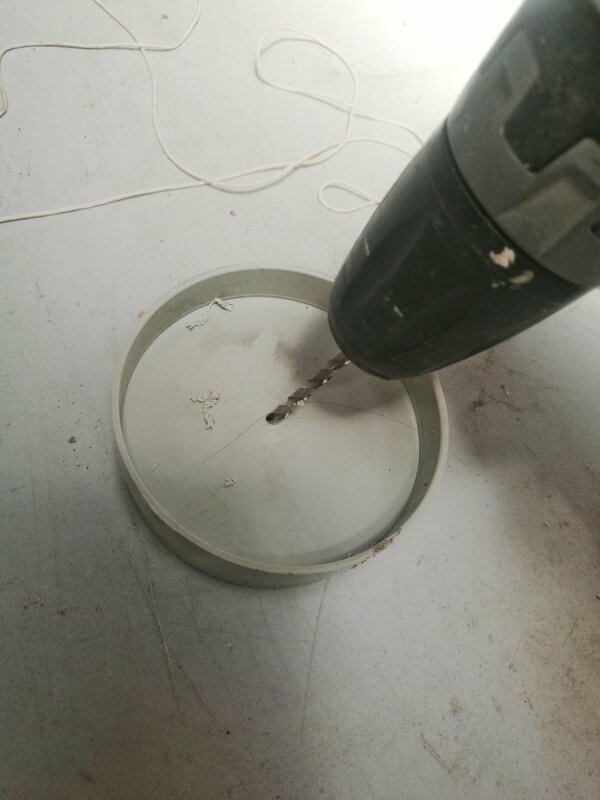 Drill a small hole through the slip on end cap and thread the string through. Tie it around the nail or whatever you’re using so that it won’t slip back through. Tie the other end of the string around the neck of the bottle. 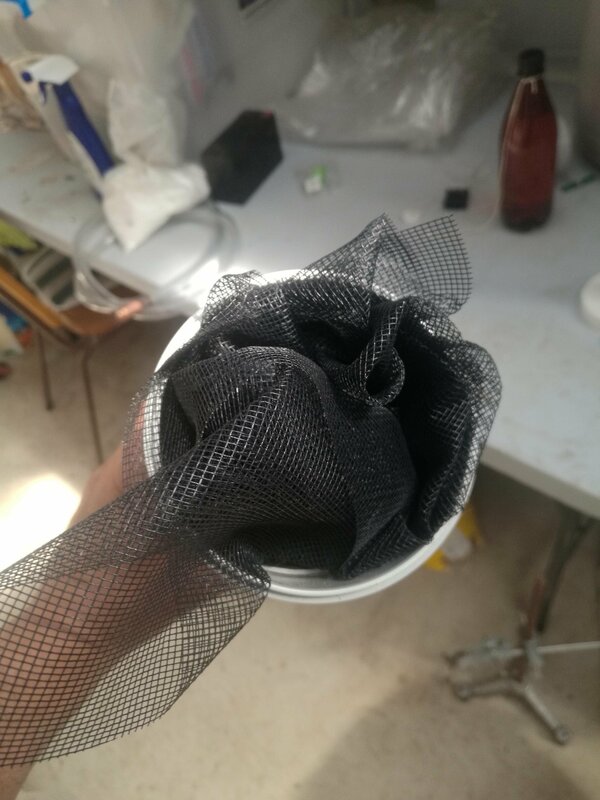 Remove the screw cap and place the filter material inside. Recap the pipe. Place the pipe somewhere vertical and attach firmly.. 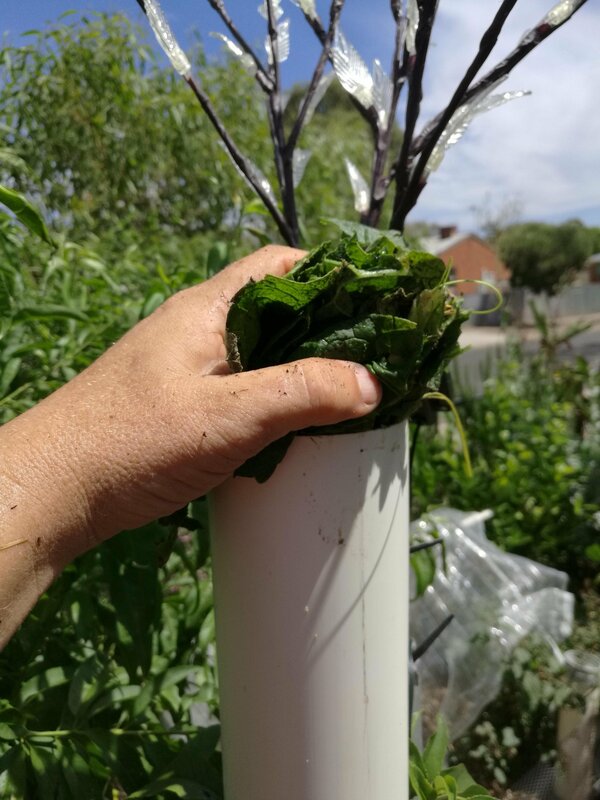 Put a good amount of plant material into the pipe. 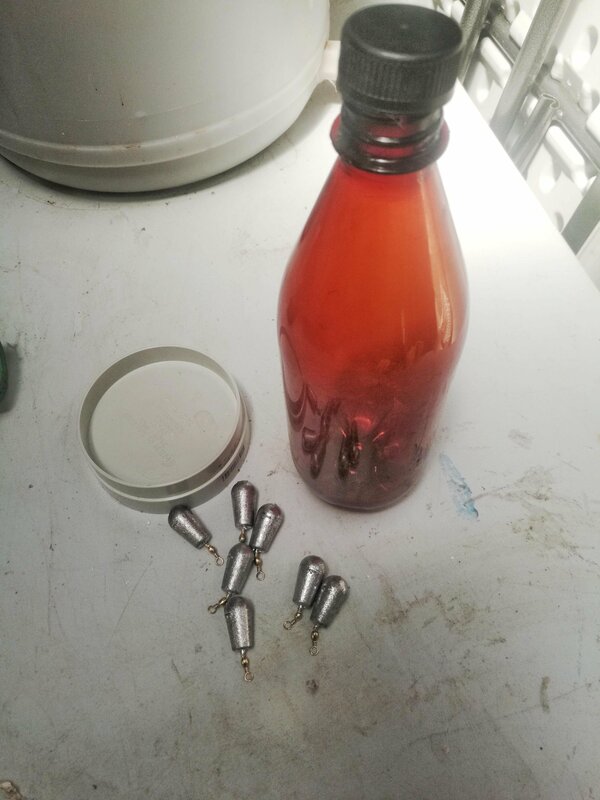 Slip the bottle into the pipe. 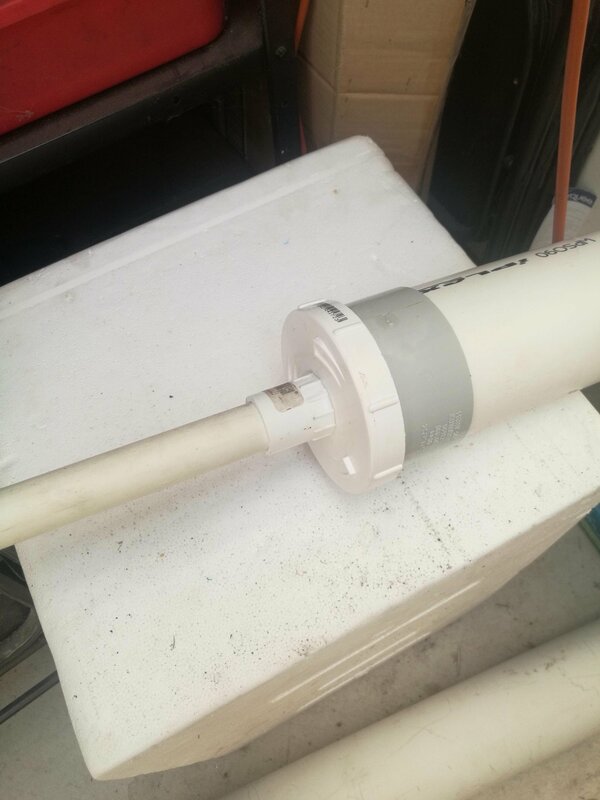 Place the slip on end cap onto the pipe to close it all up. There, you’ve made a liquid fertilizer manufacturing plant on a small scale. The idea is that the weighted bottle presses down firmly and slowly onto the mass of green material, squeezing the juice out. 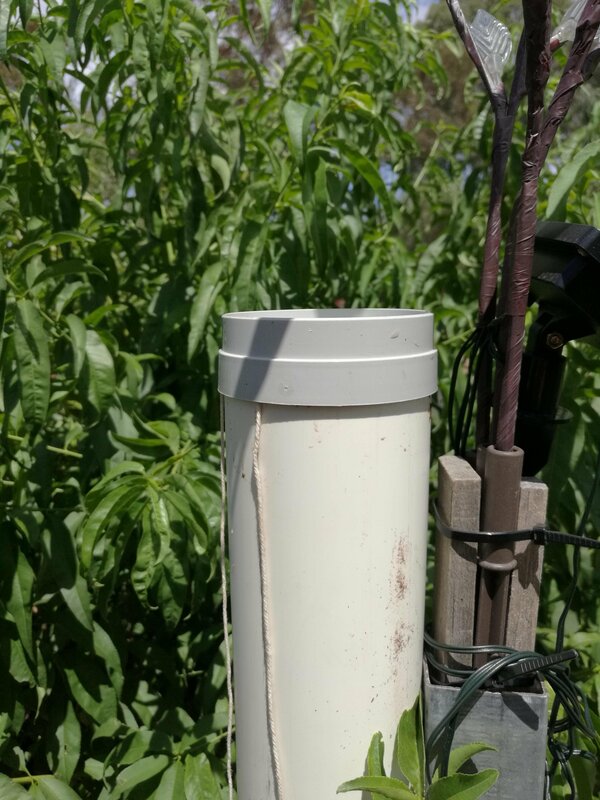 This then collects at the bottom and flows into whatever container is placed below it. 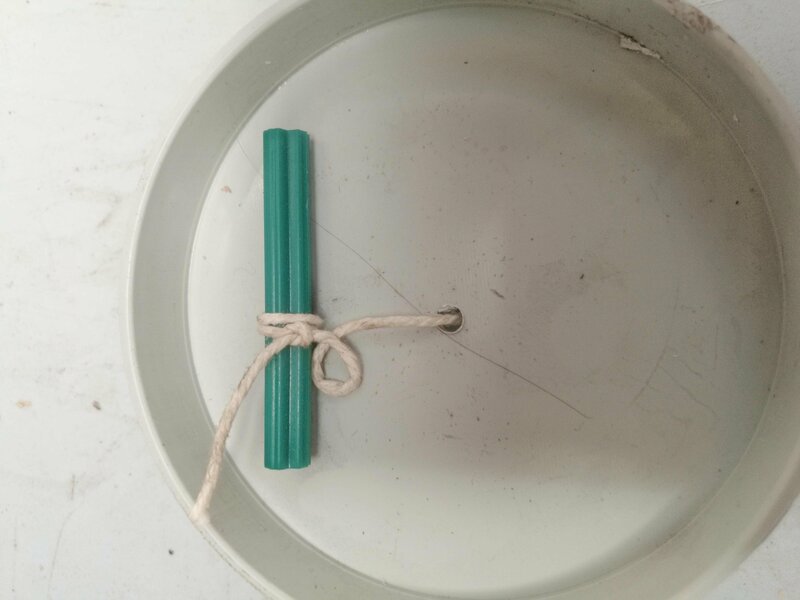 I’ve used a bucket for the picture, but a container with a smaller opening is probably better. That’ll help exclude bugs and contaminants. Use the results as a liquid feed by during it about 1 to 10. It makes an excellent foliar spray.